A common problem many businesses face is how to make floors safe when there’s water, oil and food spills around. Alsco has the perfect solution, our wet area mats provide a safe barrier to help prevent slips and trips that can happen in your workplace. 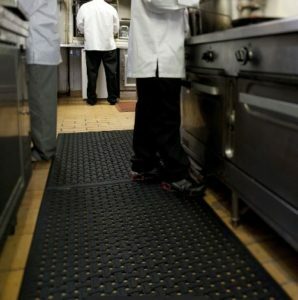 Our clever design means any liquid spills flow through the holes in the mat and away from the surface your staff and patrons a stand on, providing everyone with a much safer work place. 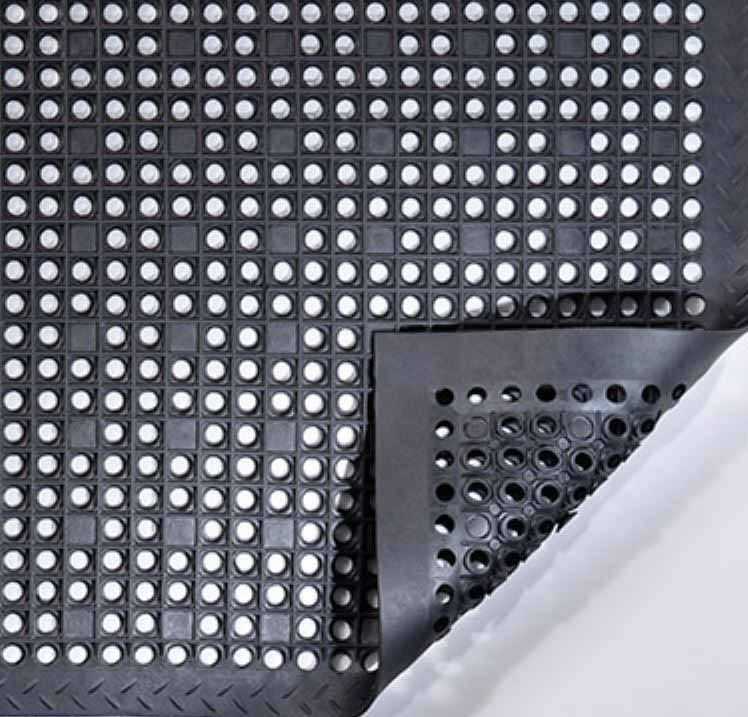 Made from durable, quick-drying, anti-microbial rubber, these mats are designed to provide the greatest protection against slippery and dangerous wet surfaces. 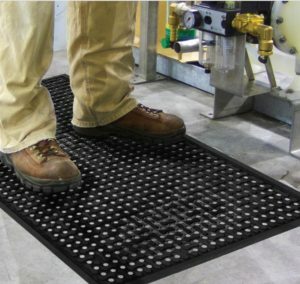 Not only do Alsco’s Wet Area Mats make your workplace safer they also provide anti-fatigue properties, a great comfort for those who may be standing on their feet all day. 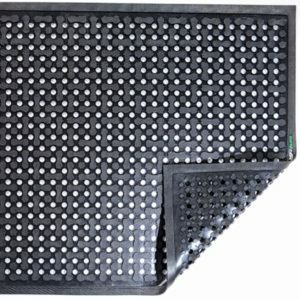 Scroll down to see our range of Wet Area Mats. Durable textured rubber design with flow through holes for liquid, food or other spills to escape. 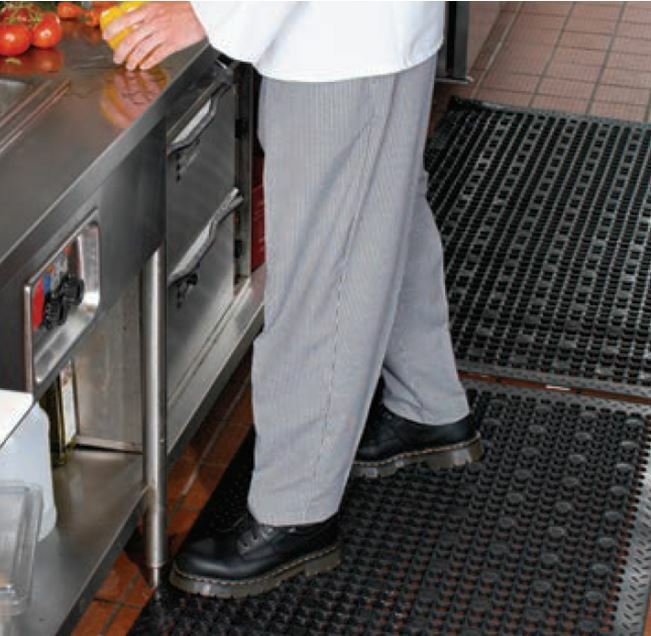 Super soft and durable Alsco’s Wet Area Mat combines suction cups that adhere to the floor as well as a flow through design to aid the escape of liquid, food or other spills. 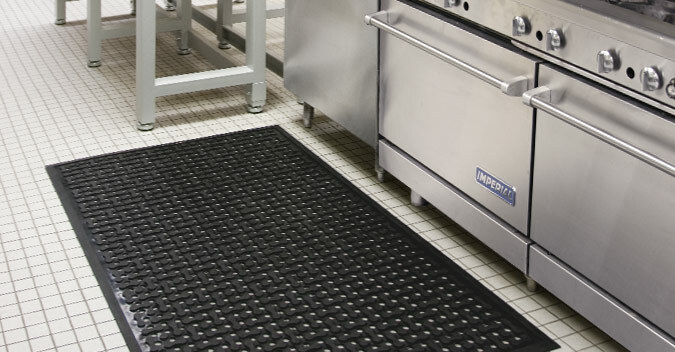 the textured top provides great grip and our safe bevelled edge sits flat on the floor. 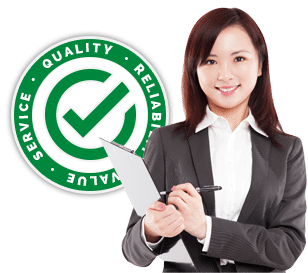 It’s soft rubber feel also provides fantastic anti-fatigue properties, that helps you and your staff stay comfortable all day. 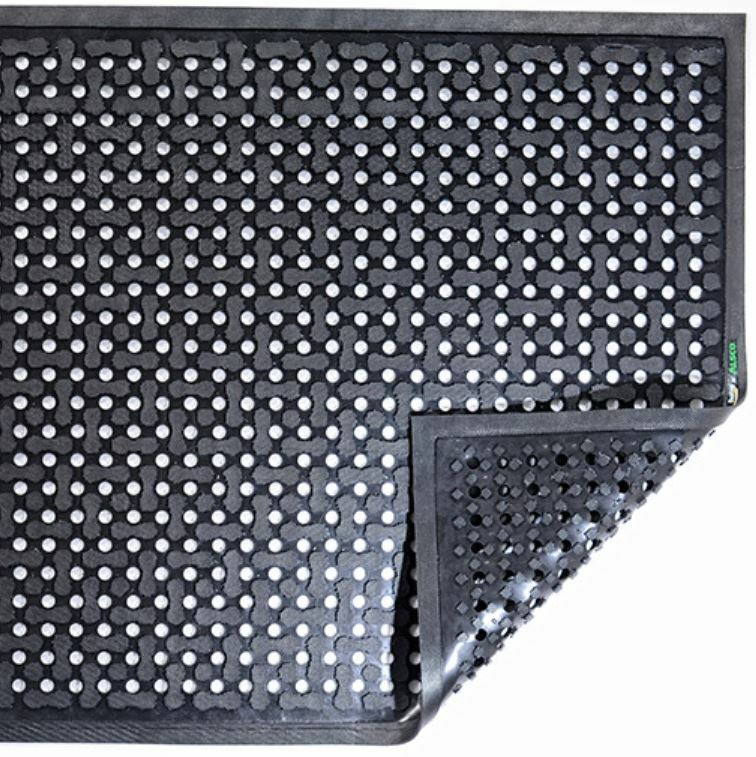 Available in the popular 5×3′ (79x158cm) size. 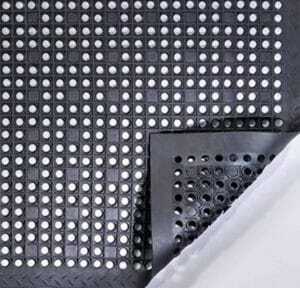 Want your mats now? 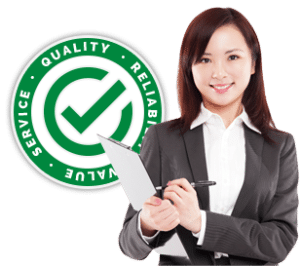 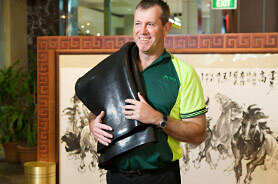 Call us on 1300 659 892 and we can get you started or fill in the contact form and we’ll be in touch soon.